Fun for everyone. Social media and print enabled. Save money. Just download and get started! Have you looked into renting or buying a photo booth for your wedding, or special event? 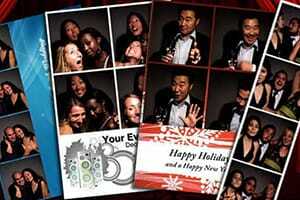 Seeking to get into the photo booth rental business but the traditional systems are too bulky? Discouraged by the price and the hassle? Thanks to improving technology and high-quality cameras found on most computers, there’s a better way to capture and save your guests’ special memories. Meet Sparkbooth! It’s the DIY Photo booth solution that’s dynamic, easy to operate and is a fraction of the cost of a traditional photo booth rental! Simple user interface. Works online or offline. Social media and print enabled. Quick set up and easy operation. Hundreds of options to make your photos unique. Simply download and get started creating memories! With an easy to use interface, loads of customizable features, and great tech support, using Sparkbooth is a wonderful and cost-effective alternative to a traditional photo booth. Sparkbooth makes it a breeze for anyone to set-up their very own instant photo booth experience. Download the Sparkbooth photo booth software to any computer with a webcam and youʼre ready to go! Add some props and a backdrop and your party will be an instant hit! With several different photo sizes and hundreds of options to choose from, Sparkbooth photos are a memorable and inexpensive giveaway. Customize your backgrounds and photo features to reflect the theme and tone your event. 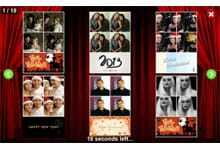 Photo booth photos are a perfectly creative way to provide a unique and fun party keepsake for you and your guests. Our software offers customizable options to commemorate a wedding, charity event, children’s party, a birthday party or any other special event. 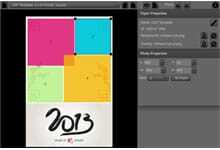 Select a theme from the layout library or use your own background photo. Place a logo or text message on each photo for branding and event identification. New themes are being added all the time! Automatically share your photos online with party guests and friends. The built-in upload option makes it simple to post on Facebook, Twitter, Flickr and other social networks. Get your photos to your guests quickly and easily. 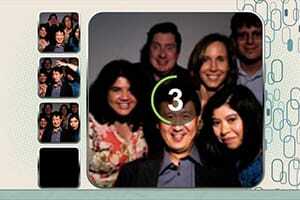 Sparkbooth can email photos to your guests. Just enter their email addresses, and photos send using email services or SMTP. Quickly set up a printer to allow guests to print Sparkbooth photos with ease. Print photos automatically or prompt guests to print with options to select number of prints. At a venue without internet? No problem! Sparkbooth photos can be queued for upload or email at a later time when there is internet access. Get rid of the keyboard and turn on touchscreen controls like a start button, options to change photo layouts, or an on-screen keyboard to collect email addresses and quickly post photos to social media. Use the visual drag-and-drop layout creator to create or customize photo layouts and templates for a truly customized event experience. Talk them through it! Choose from a variety of voices to walk your guests through the photo taking process. Or, give your event that extra special touch and use your own mp3s to customize your voice prompts. Give you guests the celebrity treatment. Highlight all of their photos in one place and allow them to browse, print, or share photos on Facebook or Twitter. Set the stage for some next level creativity. Replace traditional backgrounds and open your guests up to a whole new world of entertainment by using a green screen backdrop. Choose from our library of fun and dynamic backgrounds or add your own! Businesses can customize the share links for photos posted to Facebook and Twitter with their own name and website for maximum visibility and event coverage. With a commercial license, you can display a Facebook Like dialog for your company's Facebook Page. Sparkbooth is a great way to increase your Facebook marketing, create exciting content and reach to your customers in a cost effective manner. Expand the reach of your Twitter marketing by enabling the automatic Twitter following. Your customers can stay up to update through your Twitter account without having to pay for expensive sponsored posts. 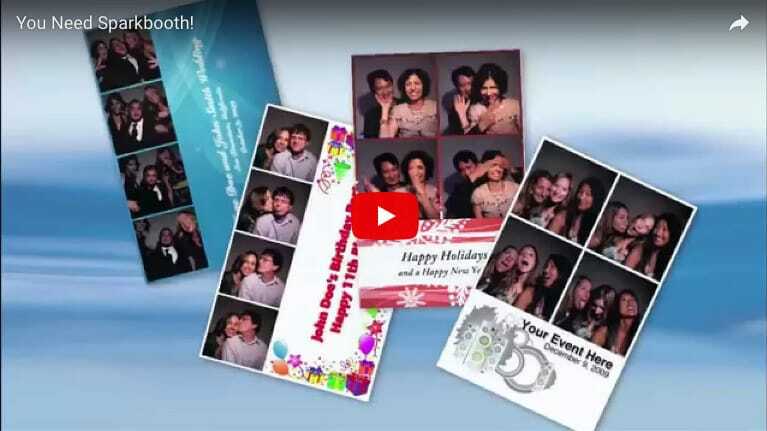 Premium users can create a separate station to allow guests to view, share on Facebook or Twitter, email, or print photos from your photo booth. Just point the kiosk to your shared folder in your photo booth. Use your events to generate interest in your business long term. Sparkbooth can integrate with MailChimp, and prompt for email addresses to submit to your mailing lists. Ready to provide your guests with an interactive and fun way to remember your event while showcasing your special day. Ready to do it with easy to use features, all without breaking the bank? Download the Sparkbooth application now and be well on your way to creating some amazing memories. Free 30-day no obligation trial. Photos are watermarked during trial. For Personal/Premium, Windows (7 or later) or Mac OS 10.7 or later, Webcam, 4GB or more RAM, and i3 processor or better (2.0 Ghz or faster) recommended. Press Buy Now for the software license that best matches your needs. Then enter the license key, and start taking photos. Need to upgrade a license?